Scores of market women and their leaders in Ijebu-Ode Local Government Area of Ogun State have expressed their readiness to back the Governorship Candidate of the Peoples Democratic Party (PDP) in the state, Senator Buruji Kashamu. They pledged their support when Kashamu visited them over the weekend at the expansive residence of the Iyalaje-General of Ijebuland, Korede Alatishe. 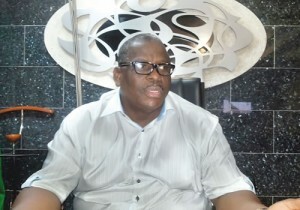 The market women and their leaders described Kashamu as one of them being a well-known businessman. In the same vein, non-indigenes from various parts of the country, including the Northern, South-East, and South-South also pledged their support for Kashamu’s aspiration. Speaking earlier, Senator Kashamu told the gathering of his plans to boost the local economy by ensuring that local governments get their complete allocations and that cooperative deduction are remitted as and when due.